Orchards saved from future development? The planning application by P J Livesey to build two dormer bungalows on the far end of West Orchard has been overwhelmingly rejected by Central Bedfordshire Council’s Development Management Committee (CBC DMC). And it is now expected that that area of land along with the part of the West Orchard that fronts Hardy Way will now be transferred into the ownership of the Parish Council. Originally, the offer to hand the land providing they were given permission to build 18 dormer bungalows off Eliot Way (between Fairfield Mews and East Lodge) excluded the area subject of the planning application. However, during negotiations with the company over the contract that accompanied the applications, it became clear that they had had a change of mind and was going to transfer the whole area. The parish council had already confirmed its intention not to build on any part of the Orchards for the foreseeable future. The parish council and 106 residents had objected to the application for the two dormer bungalows. At the CBC DMC meeting, FPC chairman Barrie Dack said that the bungalows were totally out of keeping with the surroundings. Members of the committee DMC queried whether one of the bungalows was actually on the declared County Wildlife site and hence should not be built. The application to build the 18 dormer bungalows was approved by the committee and a representative of P J Livesey stated that full planning permission would now be sought and that building work would start within six months. 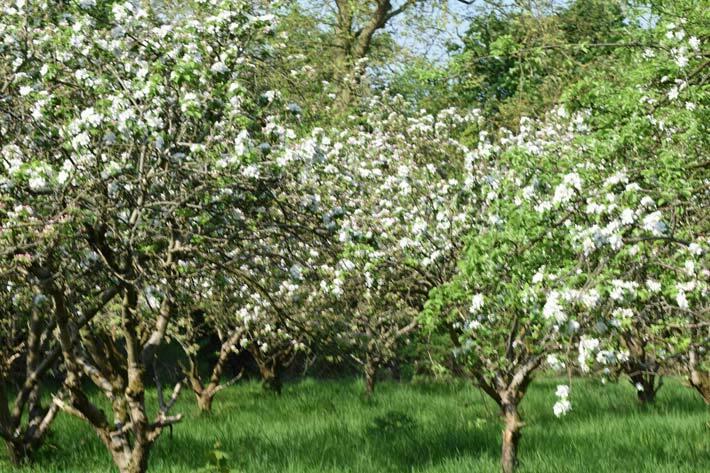 The company also now has to decide whether the terms of the outline permission make the scheme sufficiently viable to them, if so the legal transfer of the orchard land will start shortly. At the DMC meeting their representative gave an indication that this was so.